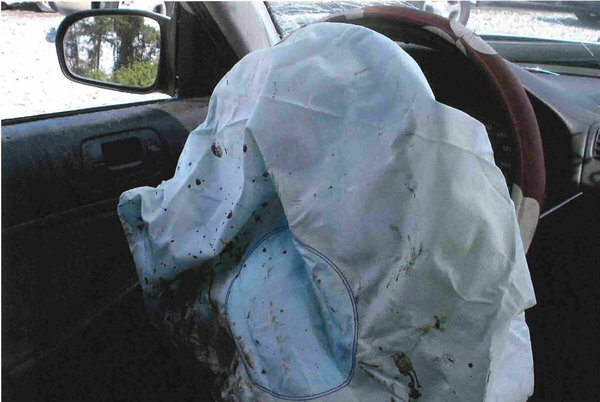 Over 42 Million Cars Used Takata Airbags – Is One of Them Yours? Automotive recall announcements keep bubbling in the news cycle, and although it might be easier to simply ignore them, the Takata airbag recall is one that demands your attention. According to USA Today, improperly inflating Takata airbags have resulted in the deaths of 21 people worldwide and injuries to more than 180. The issue: The chemical propellant designed to rapidly inflate the airbags can degrade over time,especially in hot and humid climates, causing the propellant to ignite too quickly and rupture its metal container, sending shrapnel toward vehicle occupants. Just before we went to press for our April print issue, the National Highway Transportation Safety Administration and several auto manufacturers announced an additional 1.2 million vehicles affected by these defective airbag inflators. This brings the total number of vehicles affected to more than 42 million, with 69 million airbag inflators affected. Motor Trend’s editor Edward Loh brings up some interesting things to check out as this recall continues. Have you checked if your car(s) are part of this recall?